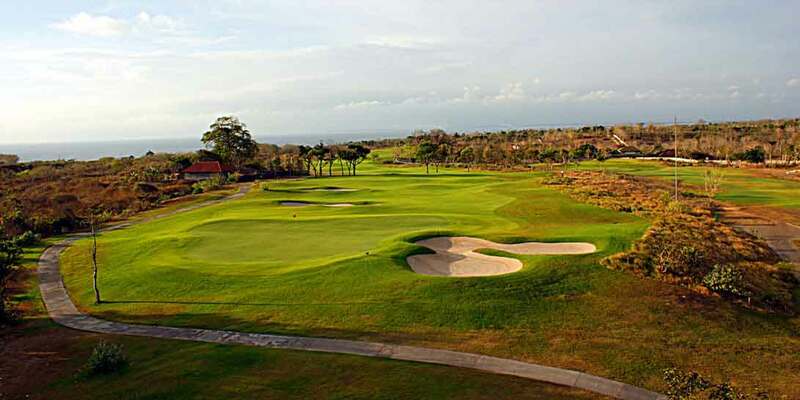 Located on Bali&apos;s southern shore in the Pecatu compound at Dreamland Beach is one of Bali’s most spectacular golf courses; New Kuta Golf. 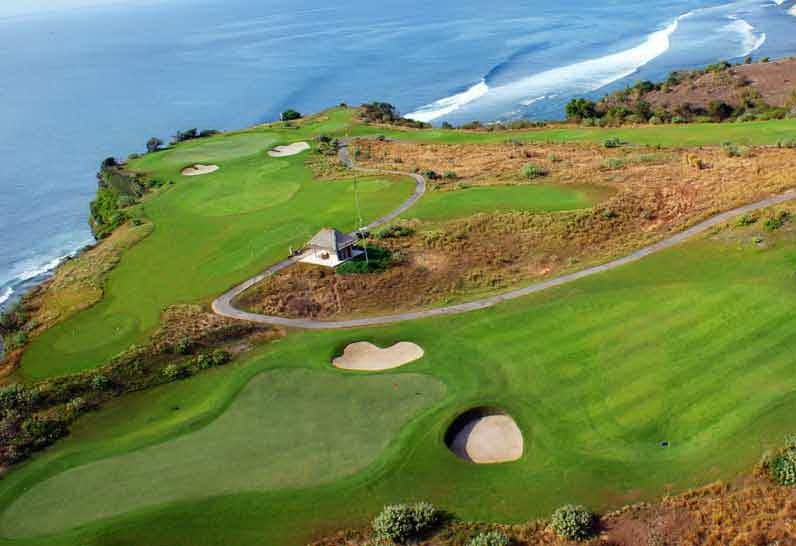 Carved out of harsh limestone between the brilliant white cliffs and the blue waters of the Indian Ocean, New Kuta Golf ranks among Asia’s most spectacular. 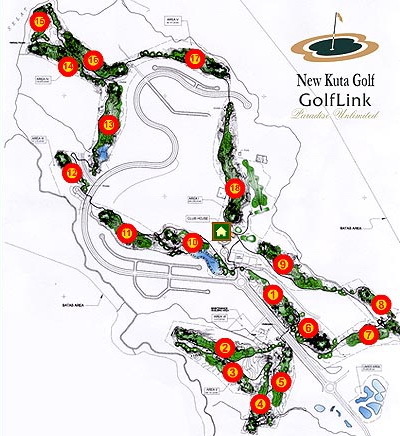 New Kuta was awarded as the Best New International Course by Links Magazine 2008 and 10th Best Course in Indonesia by Golf Digest in 2009. That same year the Asian Tour Indonesian Open was held at New Kuta. 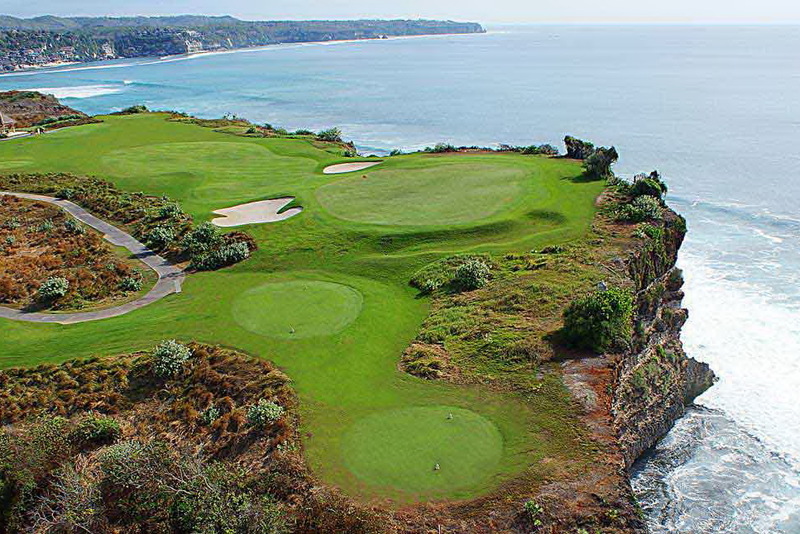 The Bali New Kuta golf course surrounds include breathtaking sea views with waves crashing at the base of many of the holes. 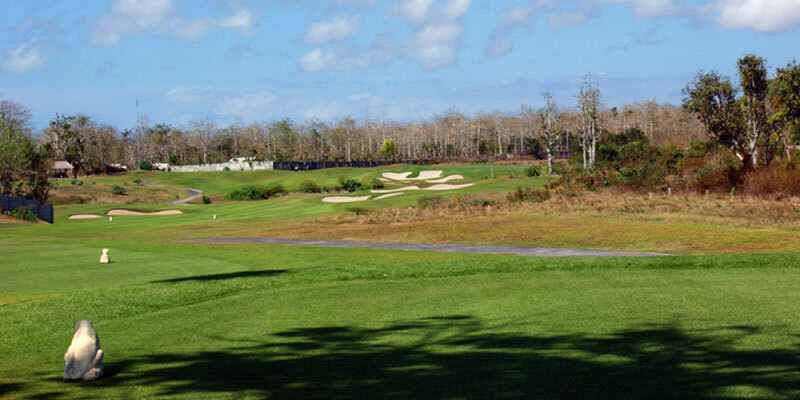 The landscape comprises rolling links-styled fairway, semi-rough of natural grasses and sand and undulated greens. 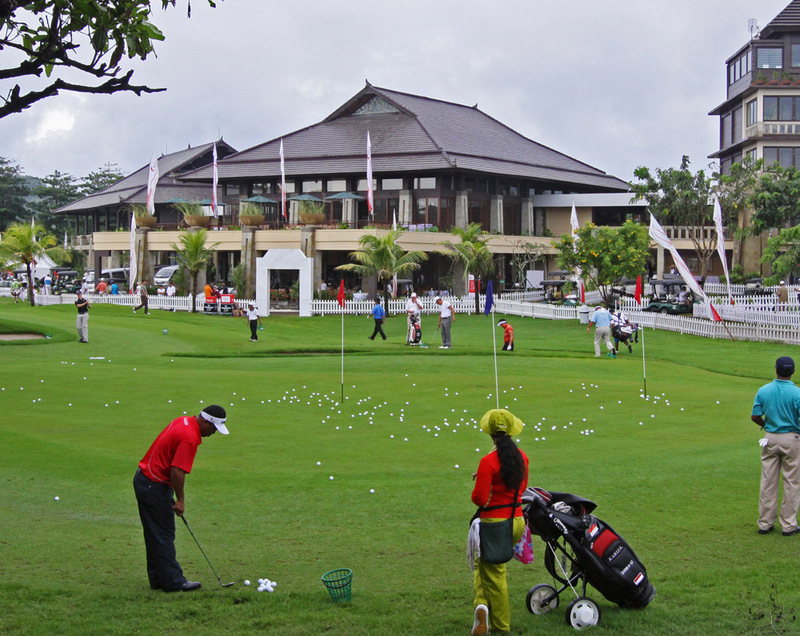 From its five sets of tees, New Kuta Golf Club plays various distances challenging players from beginners to low handicappers. 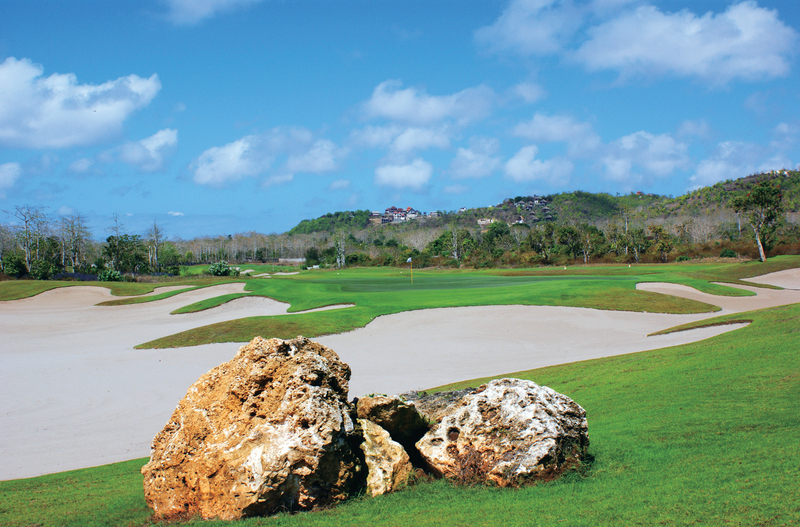 The outward nine ventures inland and plays over varied terrain. At the 191-yard 6th hole, the flamboyant putting surface - multi-tiered and angled away from the tee - is literally surrounded by a sea of sand. It&apos;s an island green essentially, encircled by an uninterrupted bunker of uncommon depth. The extreme bunker depth places a premium on accuracy; miss anywhere, and par is a chore. At the par-4 7th, a beautiful-but-brutish dogleg right, sheer length (470 yards) combines with a well-bunkered landing area and an elevated green guarded by a phalanx of hillside bunkers. 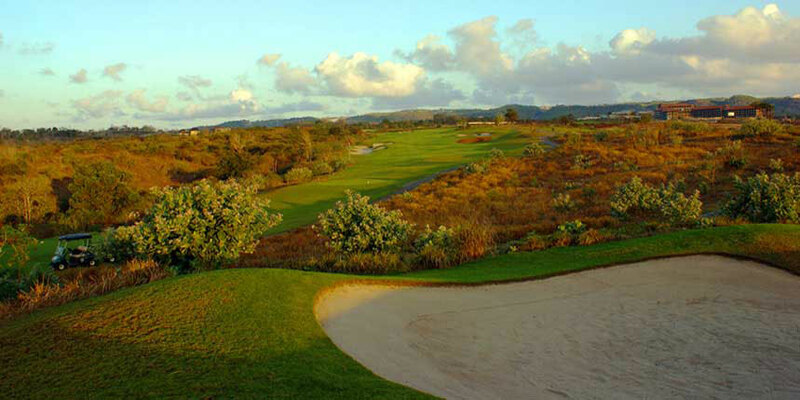 On the inward nine, in addition to the unique landscape, prevailing sea breezes factor heavily on each hole. 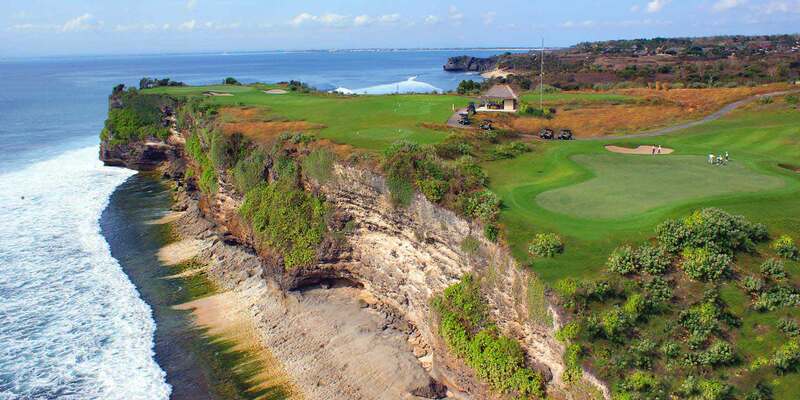 The winds never stop blowing here, a blessing in the tropical heat but a complication on holes 14, 15 and 16, perched on cliffs some 200 feet above Dreamland Beach. 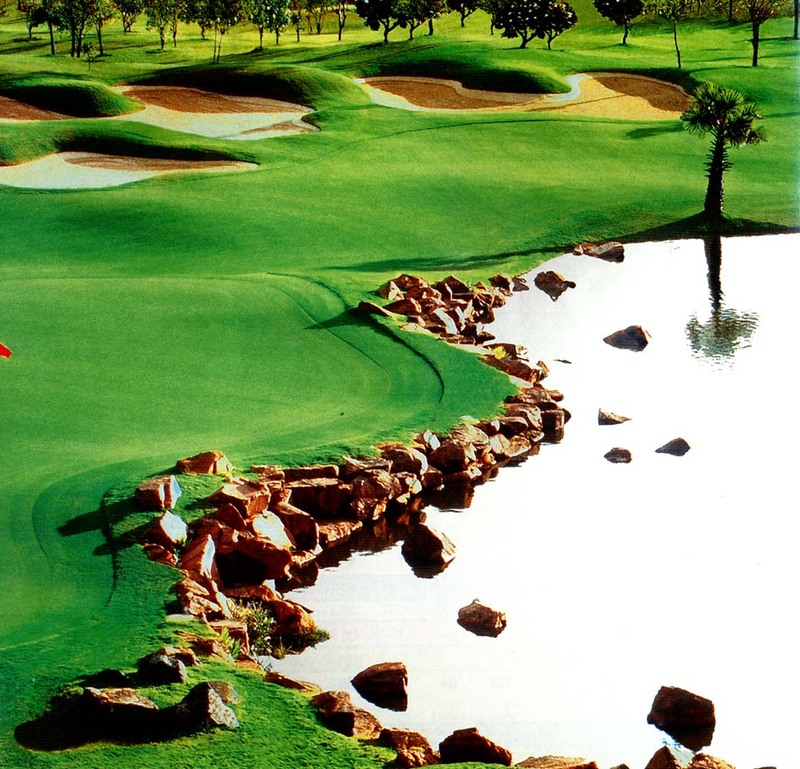 Similar to Amen corner of Augusta, these three holes also offer the highest difficulty level where only accurate shot making will suffice to prevent lost balls into the sea below. 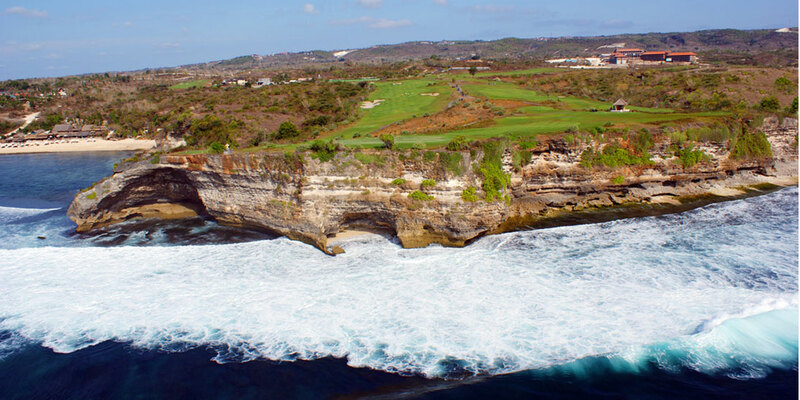 The remarkable par-4 14th tumbles some 438 yards downhill with the aqua-blue waters of the Indian Ocean as the backdrop. 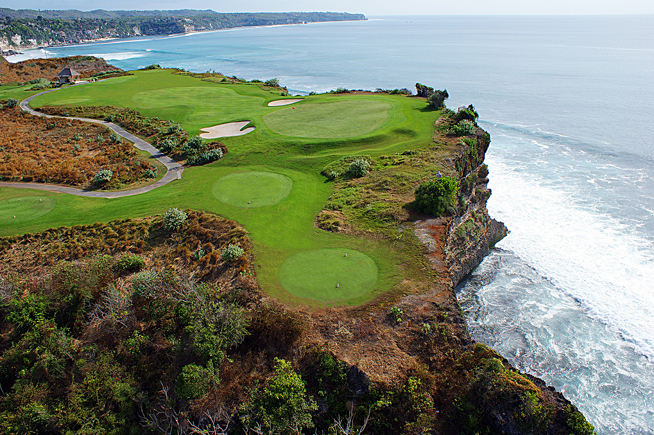 The putting surface sits directly at cliff side, fronted by a menacing pot bunker. 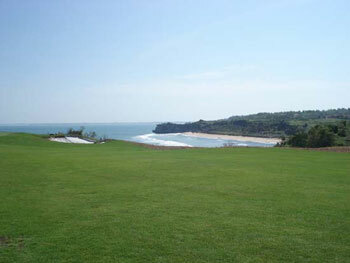 Fifteen plays just 153 yards, but it occupies the treeless, exposed headland dividing New Kuta Beach from Balangan Beach. The 16th is another long par-4 that requires a drive down the right side of the fairway. The approach in front of the green is narrow, and a layup might not be a bad idea to still have a chance for par with a straight up and down. 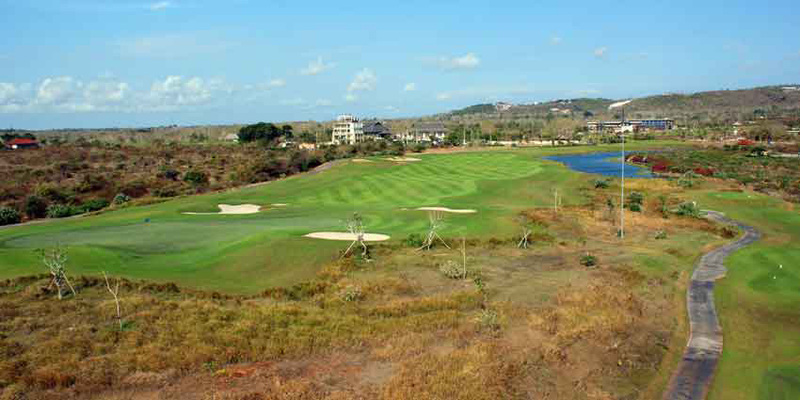 Along with beauty and challenges, New Kuta Golf recognized for its environmental conservation. 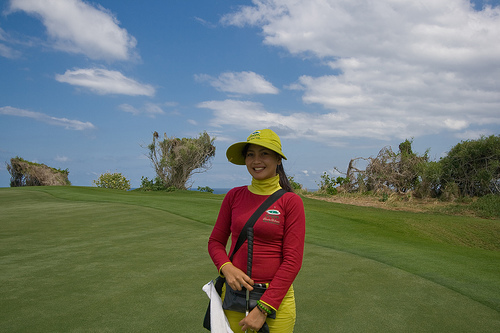 In October 2008, the New Kuta Golf was awarded certificate of “IGOLF Laureate Course” from the International Golf and Life Foundation (IGOLF) for environmental conservation. An ample clubhouse sits near the 9th and 18th greens, though it is a shame that the location affords no views of the ocean like many of the closing holes on the course. 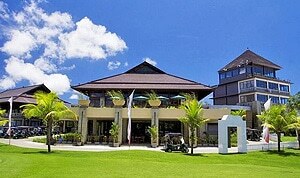 The clubhouse restaurant serves mainly Indonesian food with the western choices limited and less tasty. 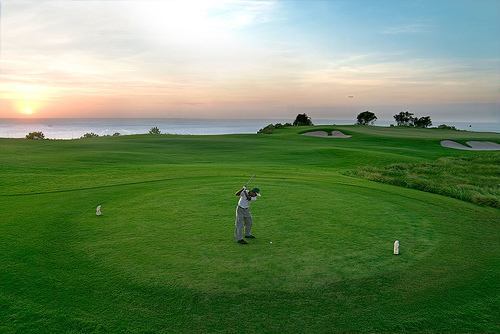 Insiders tip: Try to tee-off around 2:00 p.m. to catch a magical sunset typical of Bali. Just don&apos;t spend too much time taking pictures or talking in the scenery. Otherwise, you might forget about your game when your attention is needed most. 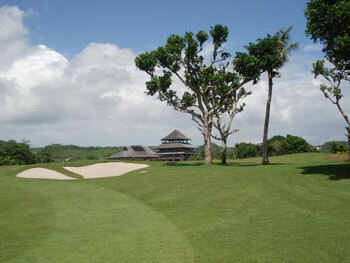 The final holes need good concentration to finish off a great Bali golf experience. 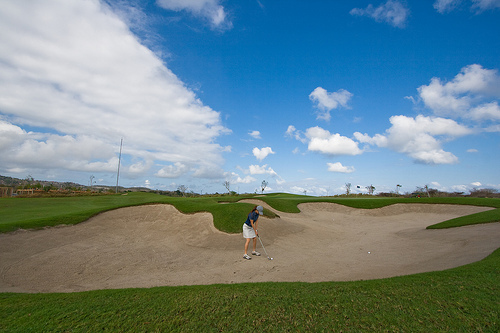 Have you played golf at the New Kuta Golf and took some nice photos that you would like to share with other golfers? Send them to us and we may upload them here. Thank you in advance! 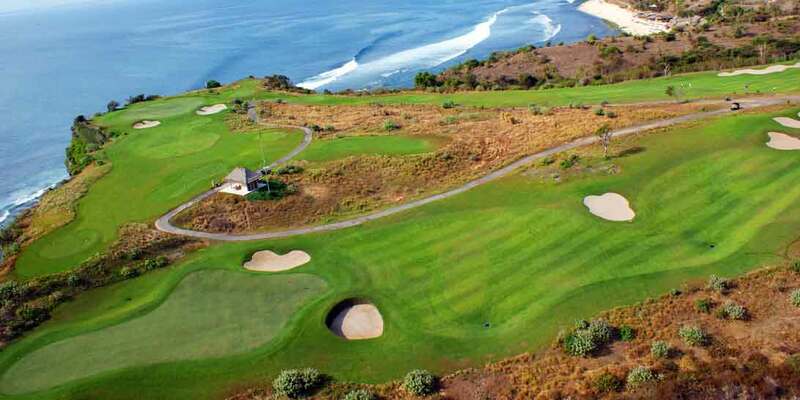 I have played this course several times and it has some of the best views especially near the ocean, there are 3 tough holes but if you keep it on the fairway you will enjoy your round, there are a couple of canteens around the course to get a drink and something to eat, which suited us as we had a big night in Kuta. The caddies were very helpful especially on the greens and the facilities are first rate. 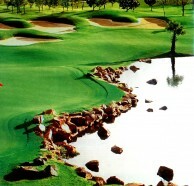 Played the course once in June 2011. The course was in great condition and the views were beautiful but because it is a new course it was a bit barren, very few trees. When the landscape matures the course will be absolutely gorgeous. You won't be disappointed playing this.